Solution: What is the annual rate of depreciation of the machine in percentage? Solution: Find the book value after 5 years using straight line depreciation? Solution: What is the total depreciation in the first three years using straight-line method? 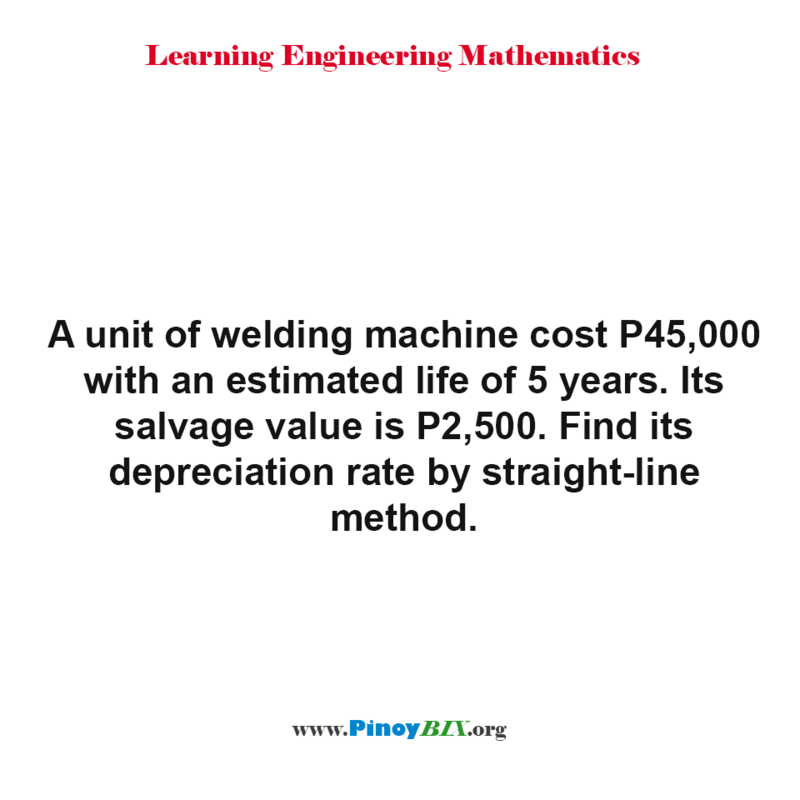 Solution: What is the annual depreciation charge and what is the book value of the machine? Solution: What is the book value after 5 years using straight line depreciation? Solution: Find the depreciation rate of welding machine by straight-line method. Solution: What was the principal in the fund at the end of the 12th year?